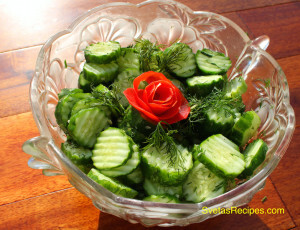 The cucumber is popular in Ukrainian kitchens, This salad includes cucumbers and dills. It is occasionally on my serving table. Also its easy to make and healthy to eat. Ingredients: 1.) Wash and dry all cucumbers. 2.) 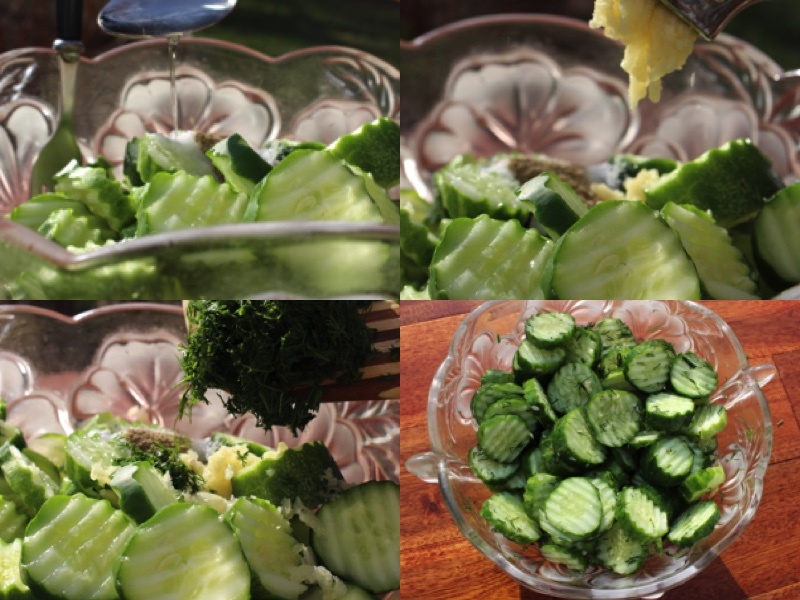 With sharp knife, cut cucumbers into paper thin slices. 3.) Put slices in large bowl. 4.) Add salt and pepper to the cucumbers. Mix Well. 5.) Add Vinegar, crushed garlic and chopped dills. Mix Well. 6.) Decorate how ever is appealing to you. 7.) Cover with plastic wrap and refrigerate until you would like to eat. 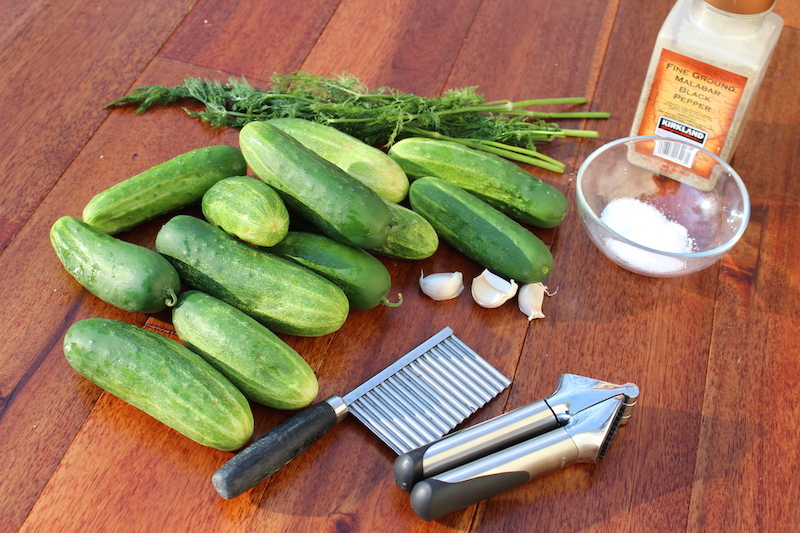 Wash and dry all cucumbers. 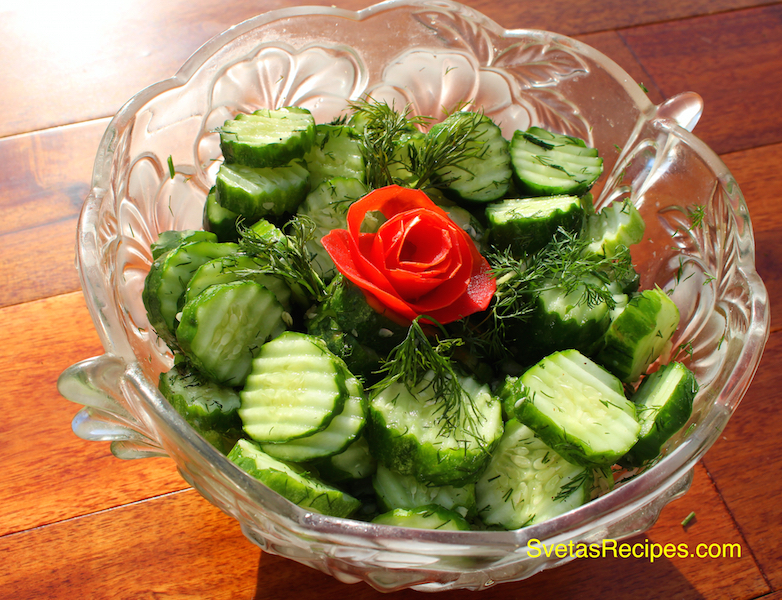 With sharp knife, cut cucumbers into paper thin slices. Put slices in large bowl. Add salt and pepper to the cucumbers. Mix Well. Add Vinegar, crushed garlic and chopped dills. Mix Well. Decorate how ever is appealing to you. Cover with plastic wrap and refrigerate until you would like to eat.